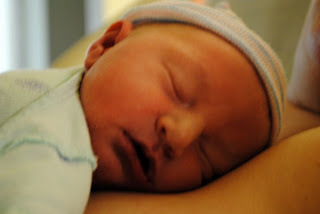 I'm thankful for my healthy family, including the addition of two new grandchildren this year. I'm also thankful I live in a beautiful natural place and that I have the freedom to enjoy it daily. And thankful that I have wildlife right outside my door to enrich my life. And I'm thankful for my followers that share these experiences with me. So far, he's escaped the hunters. We're leaving town. See ya next week, when we aren't so popular! Onyx and his owner visited the ranch for a trail ride. 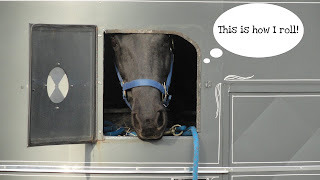 I couldn't resist snapping this picture when he peeked out of the trailer before they left. Hunting season is underway and the deer are wary. Jasper & a coyote have a showdown. but had never been able to approach close enough to get a good photograph. Today, maybe because of the fog, I was able to get close. He rattled a raspy call at me, but let me snap a few pictures. Once the creek freezes, he'll head south. Sometimes fog creeps across the pasture in ghostly patches. And sometimes it envelopes everything. Today we had murky thick fog. And enveloping everything is a blurry mist for a totally different perspective. Hey! I smell a mouse! I can see the nests they've left behind. Some are neat and tidy, held securely together by mud. Others are little more than a pile of sticks. Checking the bluebird house reveals its nest. I've found nests that are hidden on the ground. And seen all types materials used, such as this balloon string. Horsehair seems to be a popular choice. This one is a favorite, since the maker used hair from all 3 of my horses. This one seems to be made with cattail down.